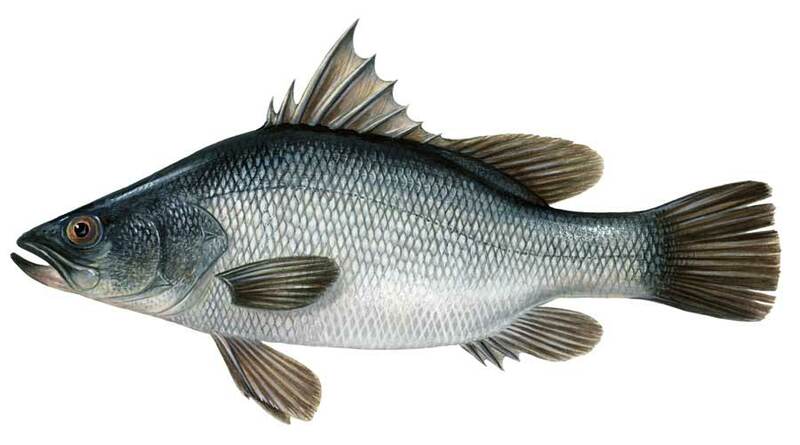 Introduced in Lake Nyanza in the early 1960s , Nile Perch became a source of livelihood for many families living along Afrika’s largest Lake and beyond. Unfortunately, this fish specie is predatory. Its predatory nature decreased diversity of other fish species in Lake Nyanza. The prospect of living in another country, especially in the West is a coveted idea. No one ever tells admirers of western life that ‘it ain’t as rosy’ as displayed in the media. Like life in the movies, it is surreal. And now that I have tasted life in the West, nothing compares to those old days – my childhood days. Growing up as a boy on the shores of the world’s second largest fresh water Lake, Lake Nyanza,[i] life seemed easy. In my recollections as a boy growing in the north-most part of Tanzania between early 1970s and late 1980s, there was enough for our community. There was enough fish in Lake Nyanza – a variety of fish. Silver cyprinid (aka Dagaa/Mukene/Omena), tilapia, Nile perch and other species were plenteous. Lake Nyanza’s waters were still not contaminated and invaded by water hyacinth as it is today. [ii] On the subsistence and communal farming front, farmers enjoyed ‘handsome’ harvests – even those in my immediate family. Community members in my village and surrounding villages from Kirongwe, Kamageta to Nyambori; Sota, Shirati to Tarime; Utegi, Kithegunga to Musoma – to name a few, almost everyone knew everyone. The most surprising thing is that community members shared the little they had. No one felt like there was a need to ask foreigners for help. As I joined preschool, I remember vividly the first day I went to school Mwalimu[iii] Dorka Fundi and Sarah Nyitambe attended to my group and started teaching us how to count and write. We started learning how to read and write on the sandy ground! Those who would improve in their skills would be promoted to start writing on slates and after sometime on exercise books. Famously known as “Daftari ya Mazoezi.” These were provided by the government. As I progressed from lower to upper primary school, I remember that we were not only given exercise books but text books were also enough for all the students. Our school, Kirongwe Primary School as well as other schools had farms. Our parents took part in the cultivation of the school farms. Upper primary school students were also taking active part in the upkeep of the farms. One thing that I should highlight is that most of the people in the upper primary school were young wo/men in their early adult ages (16 – 20 year olds). This week, I had the pleasure to visit with a migrant family from one of the Afrikan countries in one part of Ontario. As we entered the home, it was apparent that this single mother of seven children was struggling to make ends meet. But with the generosity born in Afrika, our host decided to share the little she had. One of the most ‘afro-reminiscent’ part of this generosity, was a call home to our Afrikan communal life. For the first time in two and a half decades, I have not had the experience of having to wash my hands in a small water trough passed along to all guests. Another part of this generosity was the traditional – communal way of eating together. 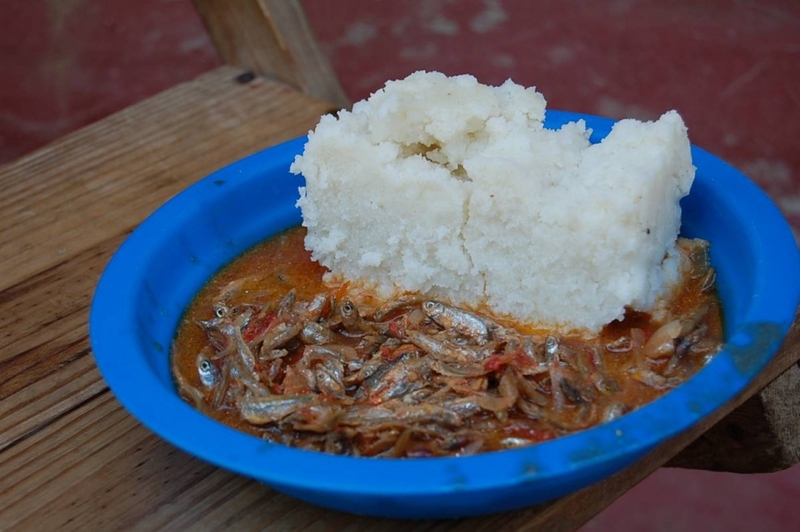 In most rural Afrikan communities, to date, eat from the same plate. In this ‘feast’ was, one plate with Ugali[iv] and another two with a mixed vegetable and fish, and yet another with steamed red beans. That was so home for me. Some of you may be disgusted by this and can directly see this as a health hazard. But this is how many of us grew back in the Afrikan villages. To us it was not a point to think about health issues. I was a time to share and bond with each other. This reminded me how often such food would be eaten under a mango or orange tree in my parents’ homestead. We would gather in a circle and eat together. 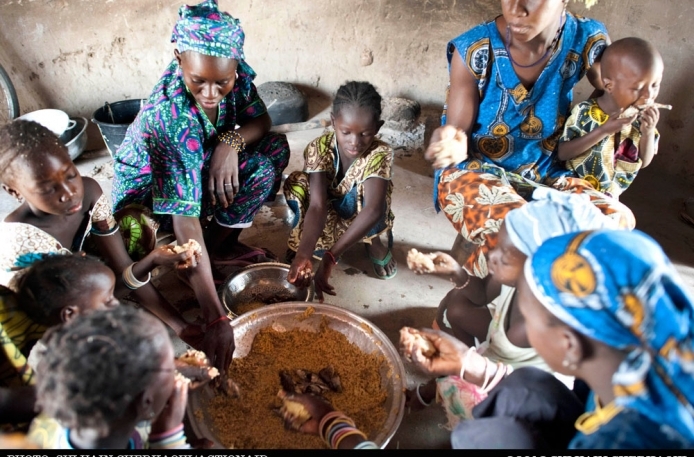 Women, children and men ate in groups of their own. Often passersby would be invited and because food was not just for nourishing the body but also a welcoming gesture into a brotherly communion, most people would come and take a sip of water, a swallow at the food and leave by words of appreciation. Even though the single mother and her seven children was a complete stranger to me, the welcome to her home made me feel like I knew her from time immemorial. At that very moment, she became a family to me. There are many reasons why people leave their countries of origin to make homes far away from home. Many people from the Afrikan countries as well as other countries worldwide leave their homes for different reasons. Some, like me, left home for study and new skills acquirement. Some left because they wanted not only to study but also to realise what has become known as the ‘American Dream.’ Yet others left because of deplorable life conditions imposed on them by the neoliberal capital market-led economic system – even civil wars. Talking with our host, it was evident that she came to Canada, bringing her seven children with her due to the civil unrest in her country. Her exodus from her country in Afrika was prompted by the Western greed and covetousness for coltan,[v] Diamonds, gold, other gemstones and precious metals. From North to South, East to West and Central Afrika is awash with mineral-based crimes against humanity. From hindsight, this woman and her children lived in a refugee camp for years before she could find a place to call home for her and her children. Arguably, the place where she lives right now is better than the refugee camp. In my opinion, her living condition and that of her children is worse than her very own home: her ancestral home where she was forcefully uprooted only to become a beleaguered person in Canada. The government of Canada and perhaps Canadians have been quoted and praised for forty decades of “enviable reputation of being a world leader in protecting refugees”. [vi] This could be true. People like the woman who hosted us, at least have a roof over their heads and some Canadian Dollars, if not food stamps to get ‘some’ food in the house. Looking around this woman’s house, I was shocked and started to ask, if the rooms in the house are even enough to house her and her children. The answer, in my mind was and still is: NO the house is only three bedrooms. The food she cooked was hot and rather nice but it was steamed beans. It had neither oil nor tomatoes, as common people would make their own domestically produced meals, in Afrika. Thinking about home again, my heart cries for my continent. My heart freezes with ‘awe’ when I hear Canadian government parading as a country that makes social and economic provisions to refugees harboured within her borders. It is true that the issue of refugees is surrounded by many challenges. But I have a few questions, to ask, perhaps someone could answer this: Why take more refugees than one country can make provisions for? Canada is one of the countries looting resources in many war-torn countries in Afrika, why can’t the Federal Government distribute the profits to give skills to forced immigrants so that they can be in a position to fend for themselves? These refugees are not just figures to be placed on the Canadian ‘benevolence’ records. They are people just like ‘Canadians’. They need protection socially, economically, environmentally and politically. In the face of such life, the ‘primitive’ Afrikan lifestyle is preferable than living in abject poverty amidst plenty in the West. Even better, death would make such person, a winner. [i] Famously known as Lake Victoria, and named after Queen Victoria. John Hanning Speke presented this Afrikan largest lake as a birthday gift when he finally reached the source of the Lake in 1858. [iv] A dish of maize flour, millet flour or Sorghum flour cooked with water to a porridge- or dough-like consistency. It is the most common staple starch featured in the local cuisines of the African Great Lakes region and Southern Africa. 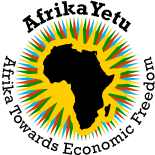 This entry was posted on May 27, 2015 by AfrikaYetu in Life, Natural/Mineral Resources for Development, Rights, The Society.